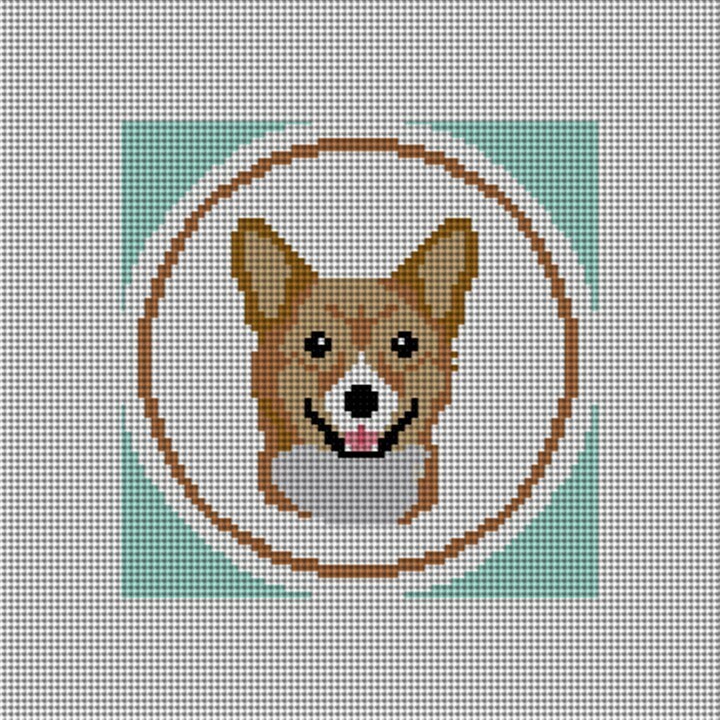 What's not to love about this little light brown Corgi! He's smart, affectionate, polite and is considered a "big dog on short legs". This cute needlepoint canvas can be stitched to make a unique Christmas tree ornament, or made into a coaster for your hot chocolate. Stitch the entire set of four and we will give you a 20% discount.